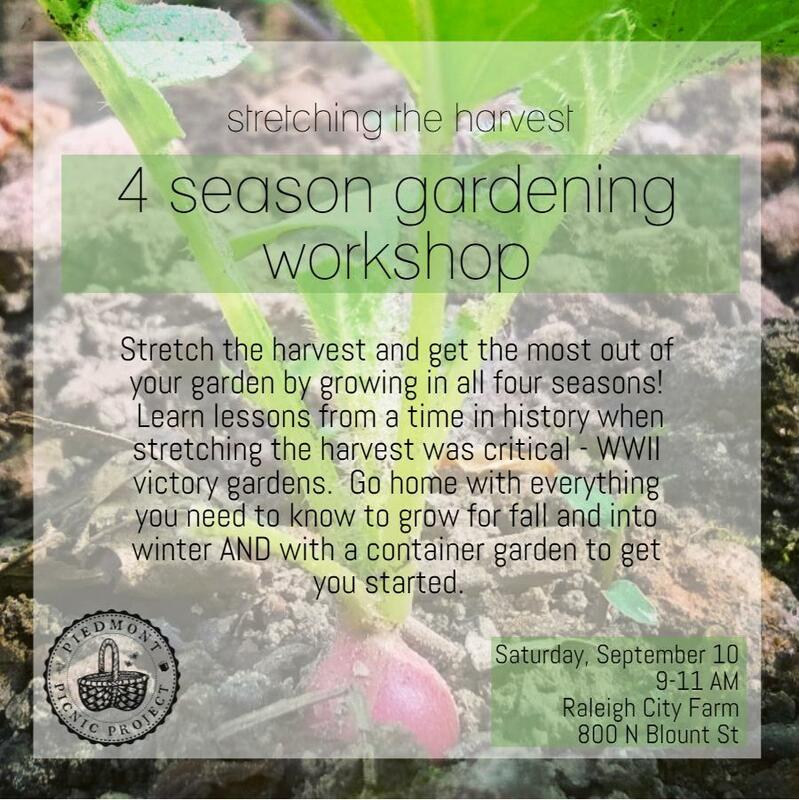 Reserve your spot here for a place in our Stretching the Season: 4 Season Vegetable Gardening Workshop at Raleigh City Farm! Stretch the harvest and get the most out of your garden by growing in all four seasons! Learn lessons from a time in history when stretching the harvest was critical – WWII victory gardens. Go home with everything you need to know to grow for fall and into winter AND with a free September planting guide and container garden to get you started. Be sure to check out the Raleigh City Farm Stand (open 9-12) before you go!